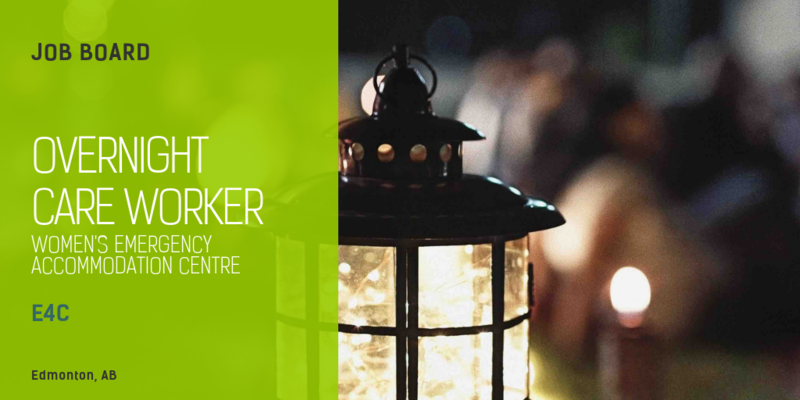 e4c is seeking an Overnight Care Worker – Women’s Emergency Accommodation Centre (WEAC) in Edmonton, AB. engage with persons served to maintain a safe and secure environment. complete intake process by: assessing and documenting including physical/mental strengths and barriers, creating shelter exit plan, and reviewing shelter guidelines. provide direct care by responding to requests for services including emotional support, crisis intervention and conflict resolution. maintain the overall cleanliness and organization of the building.